Kids, starting at birth, are expected to meet certain developmental milestones as they grow, including how they use language, how they move (think crawling, running and jumping), how they interact with others, and how they manage and express emotions. Not all children meet these milestones at the same time, and sometimes delays occur for a variety of reasons. Caught early though, what can be complex challenges can be mitigated or even eliminated with the proper help and support. In 2001, the American Academy of Pediatrics recommended that all children be screened for developmental issues three times by their 30th month. In 2010 those recommendations became a federal mandate. Enforcement of the mandate is lacking however, and nearly 80 percent of California’s children go unscreened. Despite the critical and life-long impacts this issue can have on children and their families, coverage by the media over the past year has been sparse. The introduction of AB 11 – a bill that would require California pediatricians to screen all kids receiving Medi-Cal – in the 2018 Session of the California State Legislature gave journalists an opportunity to take a closer look. 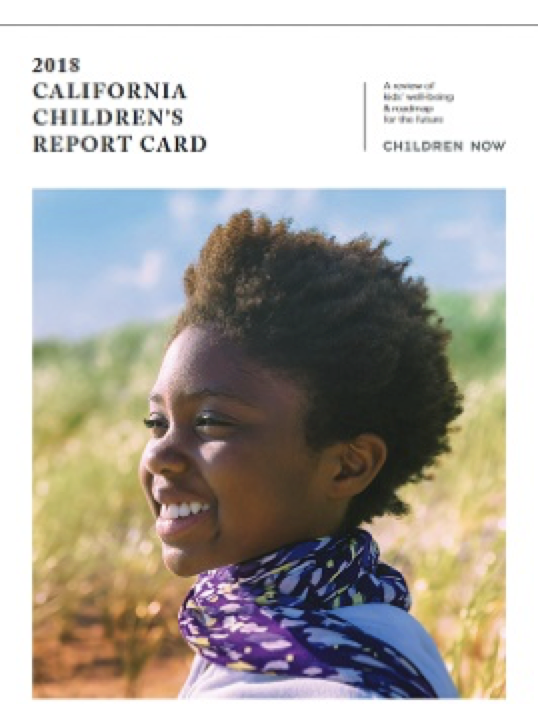 Center for Health Journalism fellow Jocelyn Weiner published an in-depth piece using data from the John’s Hopkins Institute, Children Now and the Silicon Valley Community Foundation to showcase California’s poor performance in screening kids – coming in 43rd across all states. Weiner also followed up with a piece unpacking what happens after a child is screened, finding poor coordination and service delivery by the state. Earlier in the year, EdSource also published a report critical of service delivery, citing a report issued by the California Legislative Analyst’s Office. There has been little coverage on either developmental screenings or service delivery since these pieces however, showcasing how much more needs to be done to raise the issue. First 5 LA believes developmental screenings are vital to helping children succeed, which is why the agency has officially supported AB 11 since its inception. Although the bill was passed unanimously by both the State Assembly and State Senate, it was vetoed by Gov. Jerry Brown in late September. The veto offers an opportunity to further highlight and bring awareness to the issue, and to build on the momentum created by AB 11. Further supporting the need for services and streamlining their practice and delivery, First 5 LA is a leading partner in the implementation of Help Me Grow in Los Angeles, which aims to help doctors administer early developmental screenings and, as needed, refer the child to a coordinated system of service delivery once the child is screened. While these efforts help to move California in a direction to better support young children, much more needs to be done to help all children throughout the state get the proper screening and service delivery they deserve. To equip our readers with a comprehensive view of developmental screenings as well as early service delivery, we have compiled a “clip-and-save” compilation of news coverage, reports and videos from the past year. We hope this compilation gives a comprehensive picture of the current status of developmental screenings, and provides insight into next steps. Introduced by Assembly Members Kevin McCarty and Rob Bonta and co-sponsored by the First 5 Association, AB11 would require pediatricians to provide babies and toddlers with routine developmental screening using a validated screening tool. 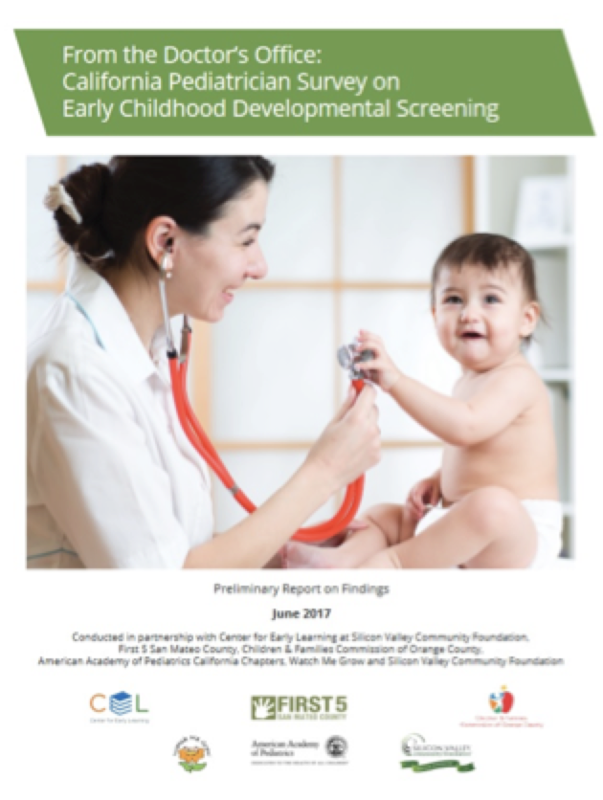 In 2016, less than 21 percent of California parents reported that their young children’s health care providers had them complete a standardized developmental screening tool.